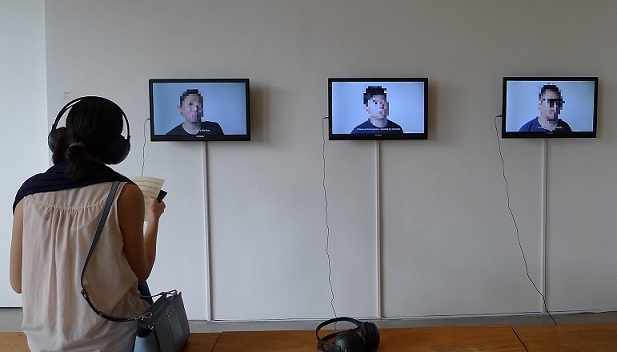 Wong Wai Yin has long collaborated on art performances, installations and videos with her husband Kwan Sheung Chi. 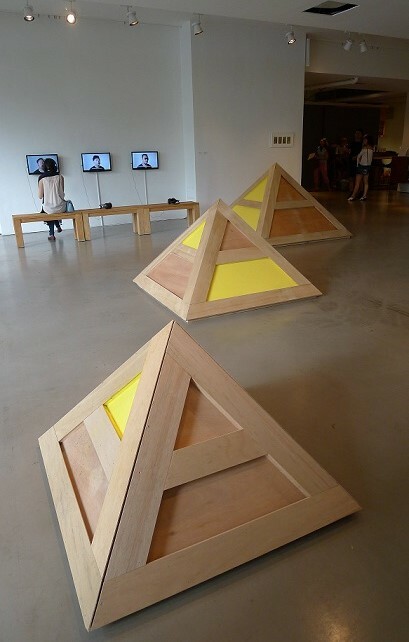 However, after the birth of their son opportunities for Wong to exhibit her own work have been limited. This is a breakout exhibition, her first solo showing in five years. It is a deft display and introduces, with humour and gentle commentary, a serious aspect of that delay: her attacks of anxiety and hesitation to work on her art. Creative people, visual artists – and writers, actors, musicians, composers etc – need to produce original ideas in their work. Similarly, Australian writer Gerald Murnane explains that this is often “filled with failed beginnings, wrong turnings and abandoned drafts, and elaborate plans that came to nothing.” The pressure and time spent on creativity is stressful. For some artists this leads to incapacitation and feelings of inadequacy. Motherhood, childcare and shared parenting has encouraged Wong to become more confident. Raising a child has focused her. The birth of her son forced her to overcome her anxieties. 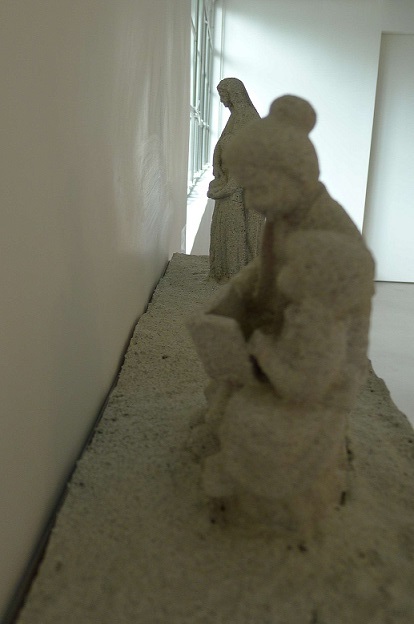 A small cast sculpture, Some missions belong to Grandmother, and some to the Virgin Mary, shows Mary reading The Bible to a child alongside a grandmother, reading a book to a child. The sculpture depicts quiet reflection and teaching, constant choices between the secular and spiritual world, and parenting as nurturing. Alongside childcare Wong has also deliberately undertaken self-improvement courses to build her confidence and improve her skills. Sometimes, the results were farcical, but fed an art idea. Wong enrolled in a dog-training course, but did not have a dog. At the first lesson, the dog trainer offered his own dog, but as it had previously been trained, all of Wong instructions were immediately obeyed! 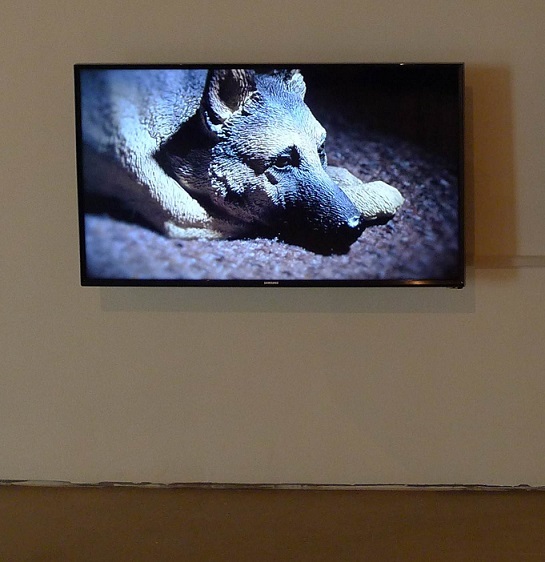 The resulting video, The dog that won’t be trained shows a single shot focused on a sitting plastic Alsatian, who is receiving instructions, in sequence: firstly a quietly spoken “sit”, then a yelled “SIT”; “stay” / “STAY” etc. The dog sits, motionless, unmoving, no matter how or what is spoken. There is a parallel with the parenting of children: quiet instructions are too-often initially ignored, until a yelled order may prompt a response. A version of this review was published in the South China Morning Post on 11 September 2016.